70 years ago, Dinah Lance made her debut in DC’s Flash Comics #86 as the Black Canary, a badass femme fatale who infiltrated organized crime syndicates to destroy them from the inside out. In celebration of Dinah’s legacy, DC’s just dropped a new, three-song EP tied to the character’s more modern self. 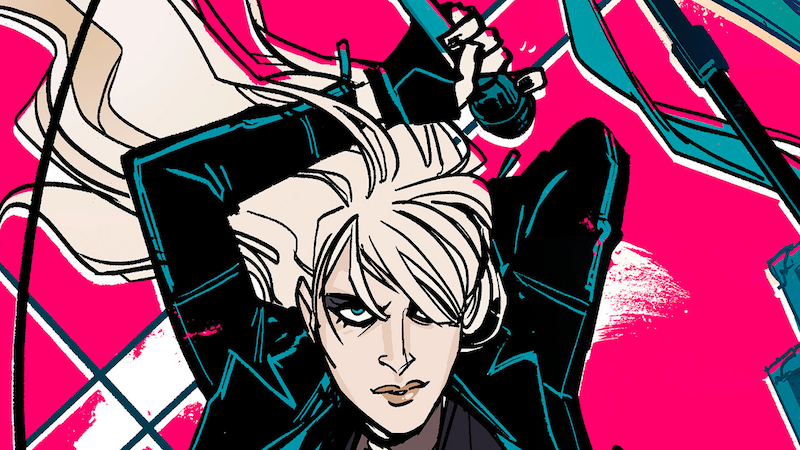 In Brenden Fletcher and Annie Wu’s Black Canary series from 2015, Black Canary’s still every bit the dangerous leather-clad vigilante she always was, but in addition to her hero work, she’s also an indie rocker. The series, which you should definitely read, is the kind of reimagining of a classic character that strikes a perfect balance between reverence for Dinah’s past and an understanding of what kind of person she’d be in the 21st century. Though Black Canary ended a while back, DC’s releasing a new set of songs tied to the series is an absolutely brilliant move that continues to build out the book’s world for readers new and old. You can check out the full EP for yourself over at Black Canary’s Bandcamp page.